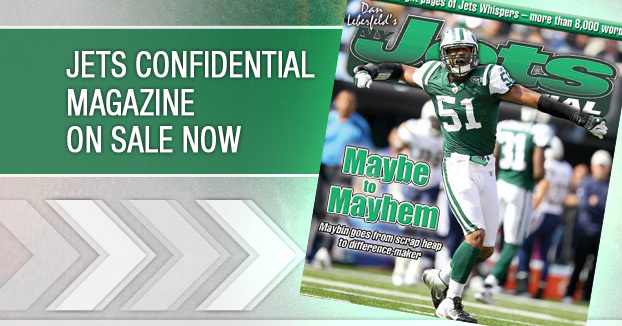 The newest issue of Jets Confidential Magazine is out and on Tri-State area newstands. It is bursting at the seams with inside info on the Jets – eight pages of Whispers. Pick it up on the newstand or subscribe by calling 1-800-932-4557 (M-F, 9-5).